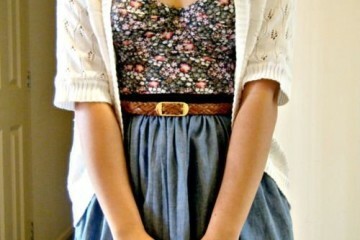 Welcome to day 8 of the 30 Days of Summer Series, and on this day we have a hipster style look. With denim blue shorts, black boots, a gray blouse, and a black and white plaid opened shirt. Add an over the shoulder bag and a black bracelet to complete the package. Make the shorts frayed at the ends to add even more effect for the hipster style look. Add shades or sunglasses to add even more effect.